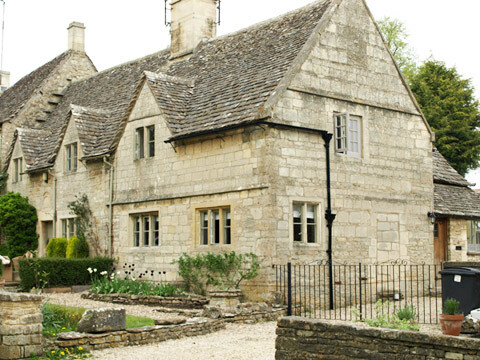 The cottage was built in the 18th Century, is Grade II listed Cotswold stone and retains many of its original charming features such as exposed beams and an open fire. There are 3 bedrooms (2 doubles and a twin), the rooms are immaculately clean with fresh cotton bedding and lovely views. The cottage has been recently refurbished with modern, stylish interiors making it great place to spend some time away from it all in this beautiful little village. The contemporary kitchen is equipped with everything you may need, there is a small table in the kitchen or you can choose to move into the living area which hosts a large dining table. You can also dine outside in the seating area if the sun is shining! The large living room has 2 big leather sofas and 3 window seats as well as the dining table so makes it great communal room for all. There is a selection of toys and DVDs to keep the kids happy as well as an elevated lawned area to the rear of the property. Situated in the middle of the outstandingly beautiful Cotswold countryside, there are lovely walks to take from your doorstep. Bibury has a river running through, a trout farm and couple of pubs/restaurants. The cottage can be used as a base to explore the many surrounding villages and small towns such as Burford, Cirencester and Cheltenham. The Cotswold Water Park is a short drive away with an array of water sports.